NEW YORK (March 28, 2013) – Scion revealed the new 2014 tC sports coupe at the New York International Auto Show, showing off a sporty new look, upgraded interior and an enhanced driving experience for the brand’s top-selling vehicle. "Scion tC is one of the brand's most popular models in Canada. For the 2014 model, designers wanted to keep tC exciting for today’s drivers without losing its spirited core appeal," said Cyril Dimitris, Director, Scion in Canada. "The result is a 2014 tC with a sportier style and driving experience that will excite current and future Scion buyers." 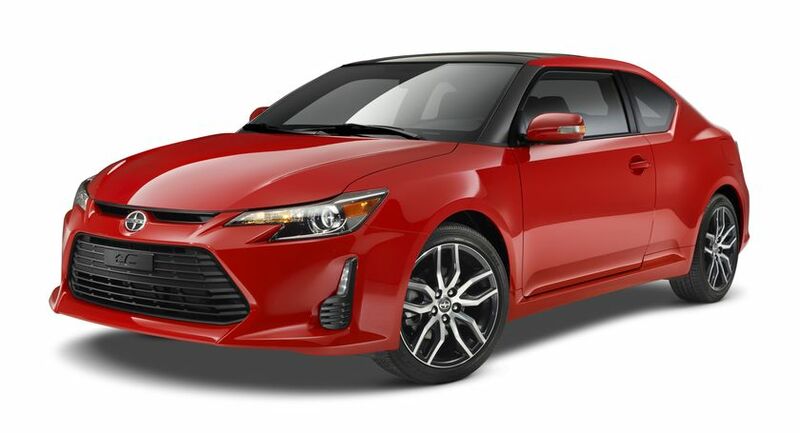 The 2014 Scion tC is defined by more assertive styling, starting from the front with distinctive new headlamps and an all-new hood that extends lower toward a more open, muscular grille with an embedded tC logo. The new upper- and lower-grille treatments are bordered by LED accent lighting. Beneath the rear bumper, a new black-out valance features an FR-S style, lower-centre trim piece and lower perimeter reflectors; new advanced LED tail lamps complete the picture. New 18-inch alloy wheels with 225/45R18 tires carry the aggressive character through to the car’s profile. Standard on the tC, the wheels feature a premium dark gray finish, contrasted by eye-catching machined-spoke surfaces. The tC will be available in eight exterior paint colours, including two new additions, Absolutely Red and Blue Streak Metallic. The 2014 Scion tC’s cabin adds new technology, additional convenience features and upgraded materials. The tC comes equipped with features that Scion drivers will enjoy, including Bluetooth® compatibility and steering wheel-mounted controls. Added convenience features for the 2014 tC include auto-off headlamps and an auto-up and down driver's window. The interior is upgraded with premium materials and lighter colour fabric on the seats and the headliner. Getting there will be more than half the fun in the 2014 tC. Its 2.5-litre, four-cylinder engine delivers 180 horsepower at 6,000 RPM, and it is available either with a six-speed manual transmission or an updated six-speed automatic that can change gears nearly twice as fast as the previous model for both upshifts and downshifts. The automatic transmission now features Dynamic Rev Management technology, adopted from the FR-S, which quickly blips the engine to match its revs to gear ratios on downshifts, limiting driveline shock and adding to the visceral experience of driving the car. Handling is enhanced by making modifications to stabilizer bar hardware, optimizing the shock absorbers, and by increasing the body rigidity with additional spot welds. Driving enthusiasts will also appreciate the retuned electronic power steering that provides a more engaging response. Together, these changes help the new tC to deliver a sportier, fun-to-drive experience behind the wheel. The 2014 Scion tC will arrive in dealerships in June. Ten years ago, in 2003, the Scion brand launched in North America designed to bring new buyers into the Toyota family and appeal to emerging younger drivers. The brand has accomplished both goals. Since launching in Canada in 2010, 65 percent of Scion owners are new to the Toyota family and Scion is among the youngest in the industry with over 50 percent of owners are under the age of 35. To celebrate Scion’s 10th anniversary in North America, Scion will launch a limited-production version of each vehicle in its lineup called Scion 10 Series. We are happy to offer Canadians these five unique models. Every Scion 10 Series car will be painted a premium colour: SILVER IGNIT10N. The unique models will number a total of 450 units, which will begin arriving in dealerships in June. Scion 10 Series features include silver seat belts, a solar-powered illuminated shift knob and an LED Scion locator badge that lights up when the car is unlocked. Each vehicle also carries a sequentially numbered interior badge. The xB, iQ, and xD will feature unique alloy wheels in a graphite finish. The Scion 10 Series FR-S also comes equipped with HID headlamps with integrated LED daytime running lamps, dual automatic climate controls and a smart key with push-button start ignition.